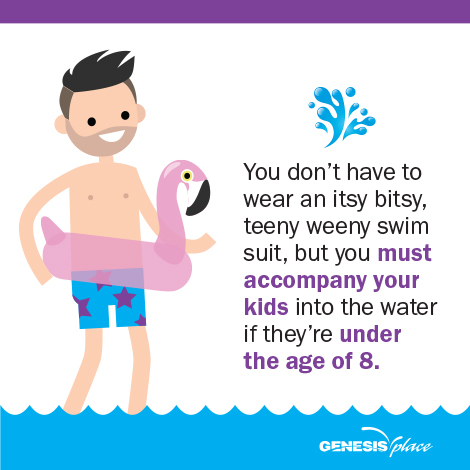 Genesis Place offers swim programs for babies, preschool children, youth and adults. Unsure of your level? Contact the Aquatic Programmer 403.948.8804 ext. 5507 for a swim assessment. Cost $10. Whether you're waiting for swimming lessons to start, or enjoying a family day at the pool, all kids under the age of 8 must be accompanied into the water at all times by a parent or guardian 14 years or older (even if it's just for a few minutes).